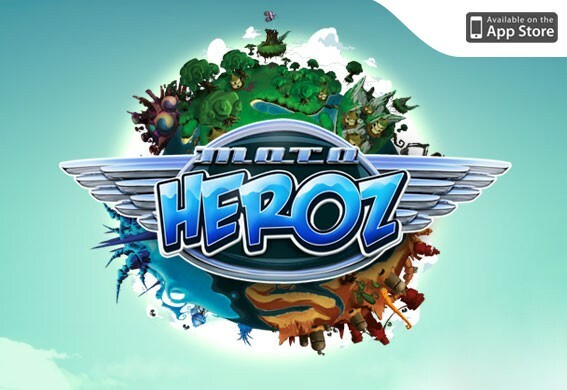 MotoHeroz HD has already seen critical (but perhaps not popular) acclaim via MotoHeroz on WiiWare and this iPad version doesn’t lose much on its conversion to the mobile world. For the uninitiated, MotoHeroz HD is a vehicle based time-trial game that takes place on wacky tracks complete with crazy spins, jumps and item power-ups. Bearing some similarities to Trials HD (another RedLynx success), the game is both entertaining but absolutely frustrating at the same time. There are several brightly coloured worlds to compete in, including forests, deserts and snow. As you speed through the tracks, your vehicle must be at the right speed and have the correct front-rear balance in order to navigate the various jumps, loop-the-loops and slopes. Each level only lasts tens of seconds and has a time to beat which earns you stars : earning enough stars will buy you access to new worlds. Also scattered throughout the tracks are coins that you can use to buy upgrades to your vehicles. These are a must because without the upgrades, some of the times are nigh on impossible. A neat feature that MotoHeroz HD brings to the table is asynchronous multiplayer. A ghost of other players around the world appears while you race. Also present is a ghost of a CPU vehicle that will complete the course in the time to beat - if you beat the vehicle, you beat the time and you get the star. To add to the fun, several courses require the use of power-up items found along the way - booster rockets, giant springs, road hugging tyres. MotoHeroz requires perfection a lot of the time and as such, can be infuriating. This must be something that RedLynx factored in since the restart of a level only takes 3 seconds, allowing you to try and try again - something that you will do over and over and over again. You could be powering along and misjudge a jump, landing on your head, the ghost vehicles overtake you with you knowing full well that there will be no way for you to overtake them and get that elusive star - RESTART! (and 3 seconds later, you are off again). This will happen often and the difficulty level is both a blessing and a curse. 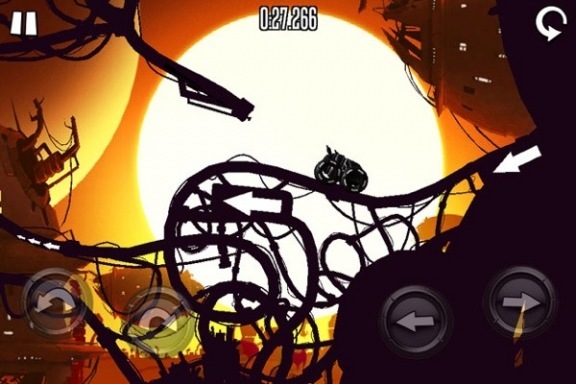 You won’t be finishing this game in a hurry. Also available through the shop is the ubiquitous in-app purchase, allowing you to buy upgrades to your vehicles without having to earn them. 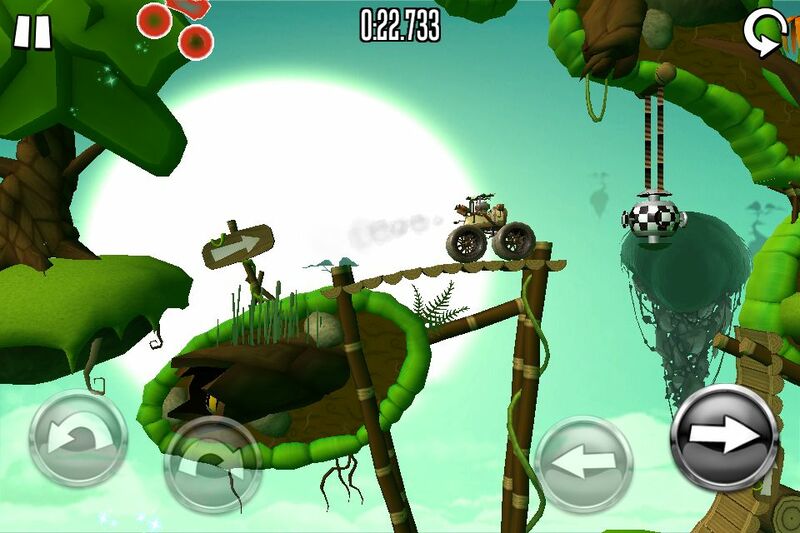 MotoHeroz HD is a fun, often infuriating game. It has enough gameplay elements to make it a fun, worthwhile experience when you only have a few minutes to while away on a game that you can just jump right into - MotoHeroz HD does this nicely.